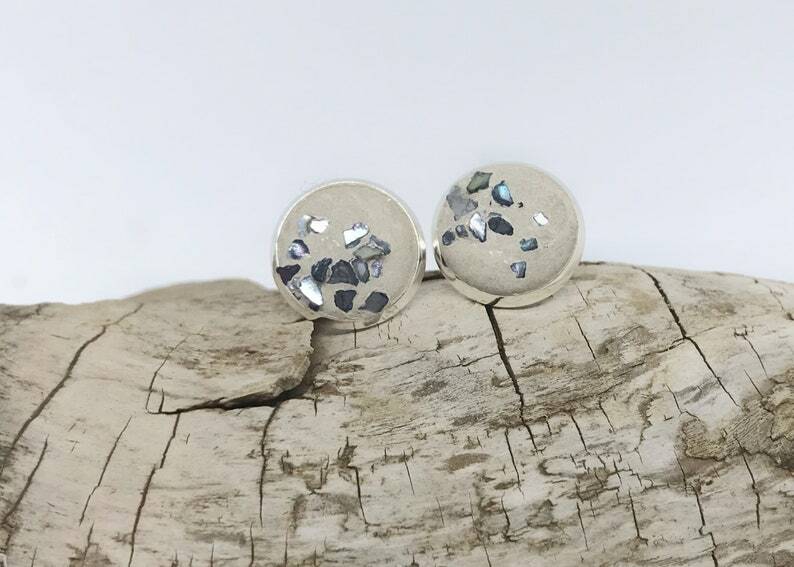 Gorgeous concrete stud earrings with black Flakes. Pleasantly light when Wearing. A real Eye-catcher. Glass stud earrings Angelman star "S11"